This audiobook was a very quick listen. The entire story only lasted 28 minutes, but within those twenty-eight minutes quite a lot took place. 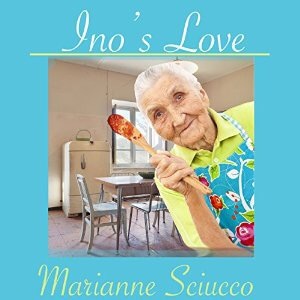 Ino is an elderly widow living in an apartment in New York’s Little Italy. She has lived there for most of her life and she has no intention of ever moving, despite the fact that she now has difficulty handling the stairs. As far as Ino is concerned, there is nothing or no one that could ever convince her move away from the place where she experienced so many happy moments in her life. Ruby is a paid caregiver who visits Ino several times a week and spends a few hours with her each time. This service is paid for by Ino’s son who is a bigshot corporate executive who makes a ton of money, but lives on the other side of the country. When business brings him to New York a few days before Christmas he calls his mother and tells her that he is dropping by to visit her. Ino is excited that her son is coming to see her and she cooks his favourite food. However, he calls and says he can’t make it. Ino decides to ask Ruby to stay for dinner instead. I have to admit that it made me quite angry that her son was so self-absorbed that he didn’t even consider his mother’s feelings when he cancelled. Sadly, this scenario is one that plays out way too often in households across the country. There is a whole extra topic of conversation and discussion that arises when Ruby stays for dinner, but I won’t go into detail here because I don’t want to ruin the story for potential audiobook listeners. I will say that if this audiobook does not make you feel, then you are immune to normal human emotions. The narrator for this audiobook was outstanding, perfectly capturing the mood and emotions of the characters in this story. Marianne Sciucco is a writer who happens to be a nurse. A lover of words and books, she studied the craft of writing as an English major at the University of Massachusetts at Boston and briefly worked as a newspaper reporter in New England. To avoid poverty, she later became a nurse and wrote about the intricate lives of people struggling with health and family issues. A native Bostonian who loves Cape Cod, she lives in upstate New York. When she isn’t writing, she works as a campus nurse at a community college. 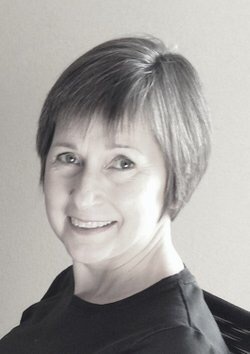 Terry Murphy started her voiceover career in 1980 and she has held multiple News Anchor jobs including positions in Cincinnati, Detroit Michigan, Chicago Illinois and Los Angeles California. Her voice was the driving force behind the highly successful syndicated show “Hard Copy” for nine years. Because of this, she was once known as America’s tabloid queen!